This quick lunch has a Middle-Eastern flair with citrus notes, pistachio and mint. 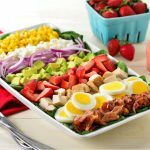 Including prep time and cooking, this lunch takes under 30 minutes to make, and stores very well in an airtight container or mason jars for a grab-and-go lunch that’s vibrant and tasty. Make this couscous with nectarine, ginger-orange dressing, pistachio and mint for a lunch that will make your coworkers jealous! In a small bowl, whisk together the dressing: orange juice, ginger, olive oil, and honey. Season with sea salt and freshly ground black pepper to taste. Set aside. Divide couscous onto two large plates. Scatter nectarine slices, mint leaves and pistachios over the couscous. 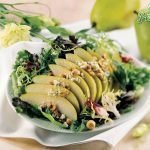 Drizzle on the dressing and season with additional salt and pepper to your liking. 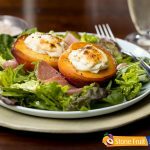 You can choose to use two different varieties of nectarine: one white and one yellow, or you can use both white or both yellow. 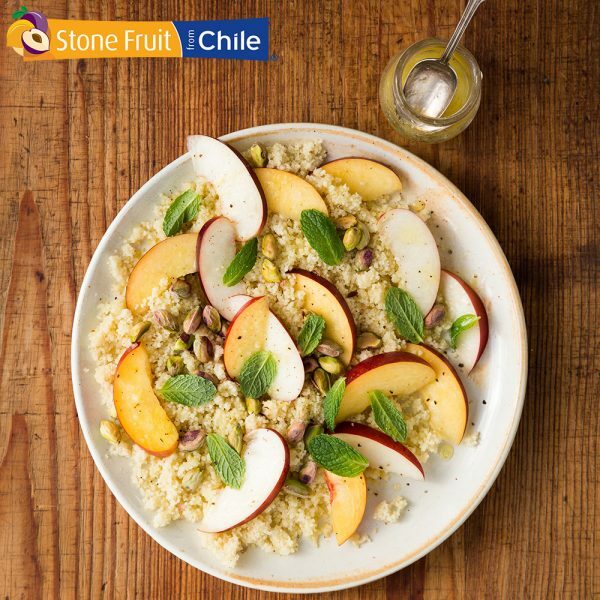 This recipe is kindly provided by our featured member, Fruits from Chile.